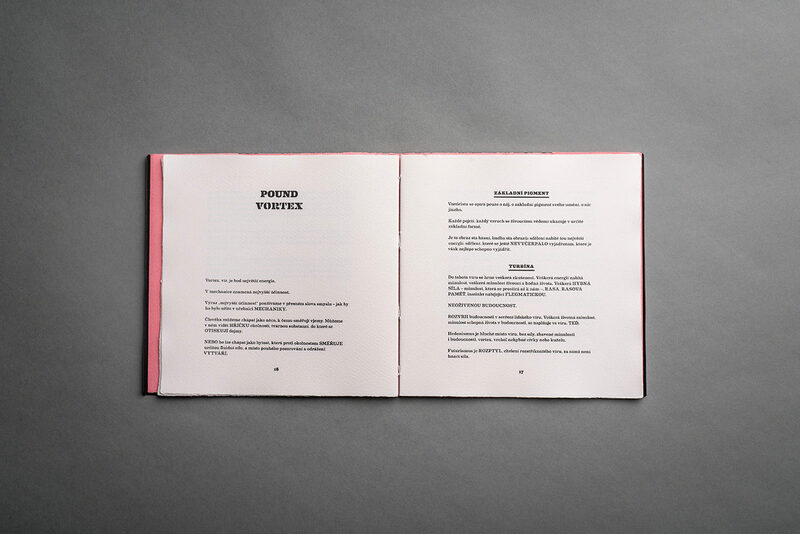 A bibliophilic edition of texts by Ezra Pound on a traditional handmade graphic paper from Velké Losiny. 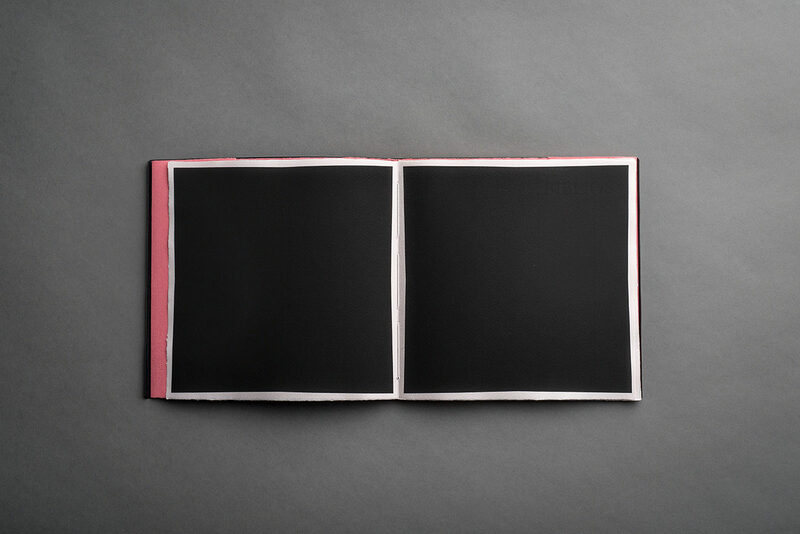 The publication uses an alternation of black, pink and white surfaces. 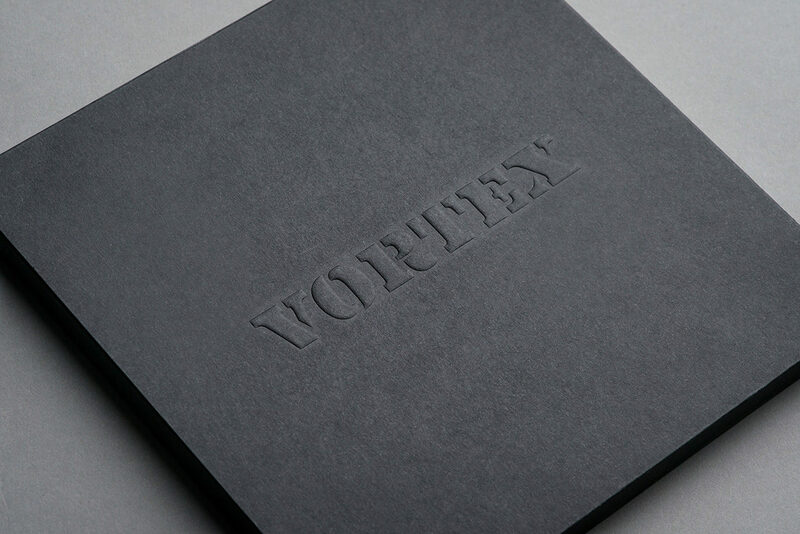 A blind embossing is used as the only one decorative element on the paper box. 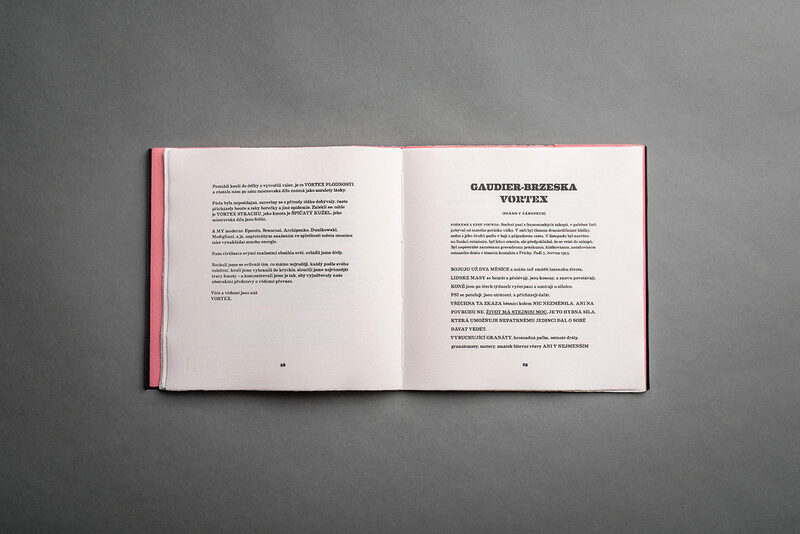 The typesetting works perfectly with an Eames Century Modern typeface. 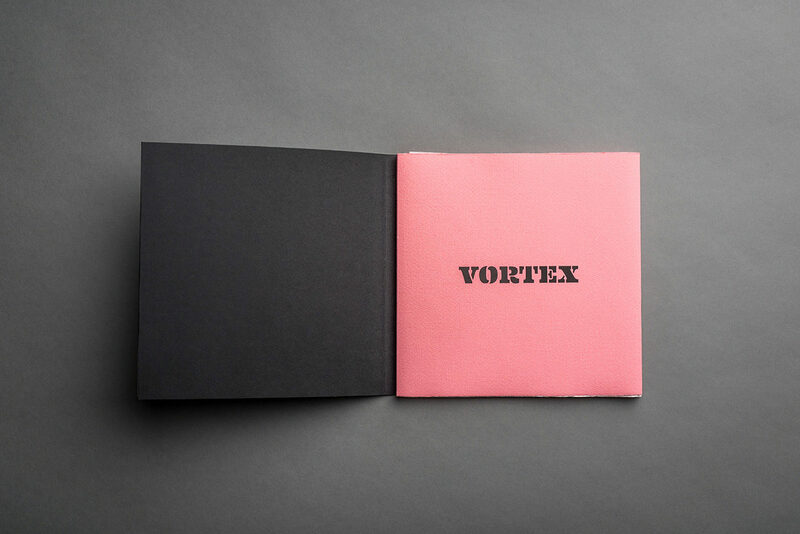 The Pound’s manifesto Vortex (Pound Vortex) was translated by Jakub Guziur. 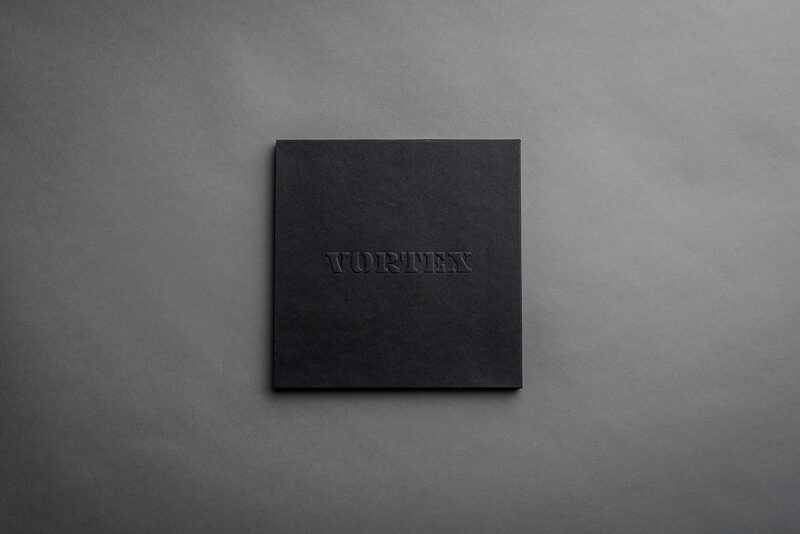 Vortex Gaudiera-Brzesky (Gaudier-Brzeska Vortex) was translated by Anna Kareninová. 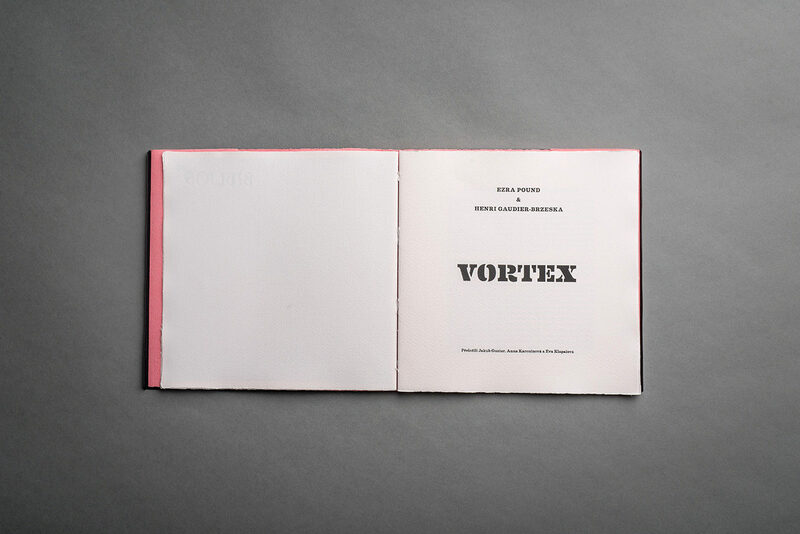 Eva Klapalová translated the text Vortex Gaudier Brzeska. The poem Oread by H[ilda]. D[oolittle]. was translated by Petr Mikeš. 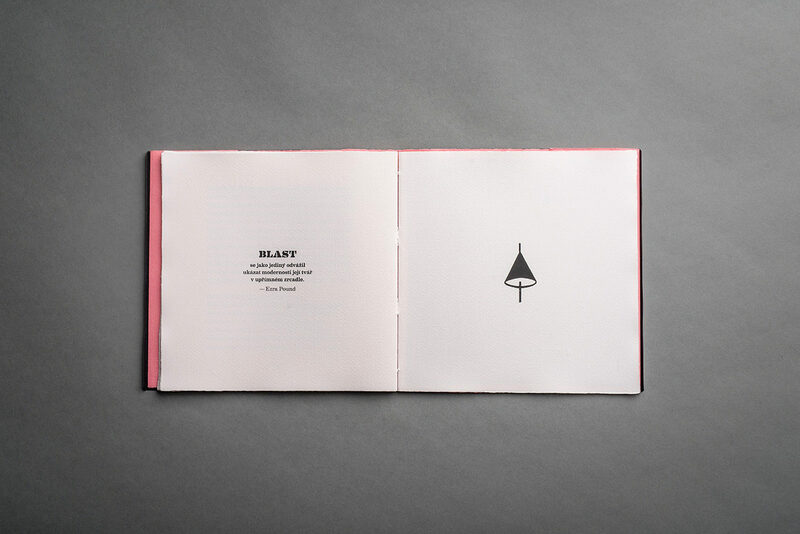 The book is provided with a preface by Gustav Erhart. 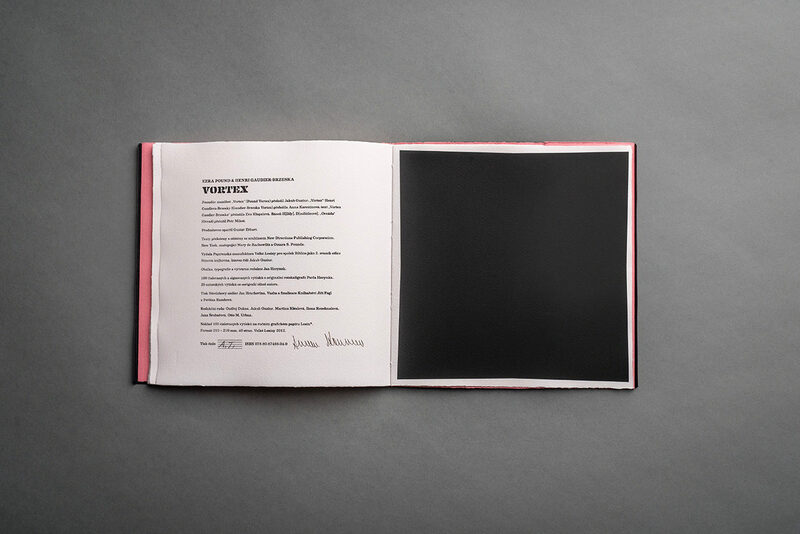 The occasional edition was published by the Papírenská manufaktura Velké Losiny for the Biblios club as a second volume of the Stínová knihovna edition. 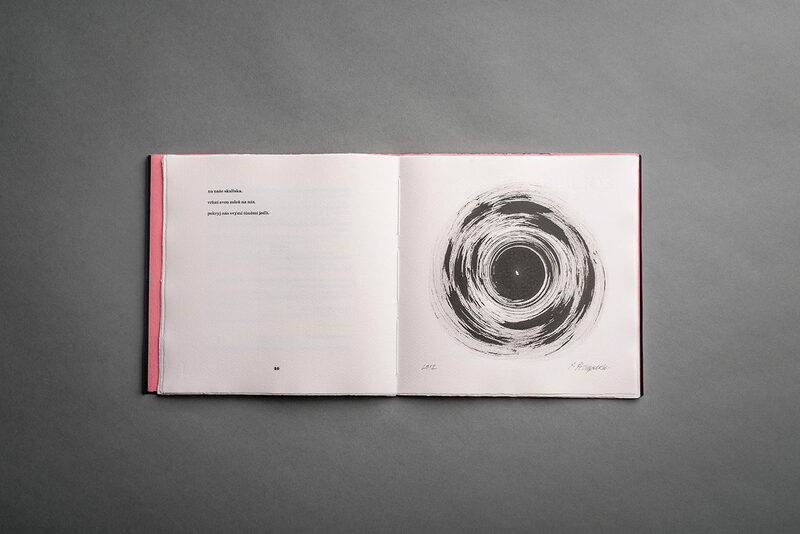 It contains an original rotocaligraphy by Pavel Herynek which is numbered and signed by the artist. Design and art editing by Jan Herynek.